Over a thirty year period, Felicity Keats-Morrison has developed a unique method of unlocking creativity in different fields of creativity ie writing, maths and science subjects, arts and culture and storytelling. She also established a publishing company for the purpose of documenting all the above talents. In 1998, she presented the method to ELITS – Education Library Information Technology Services (KZN). She trained mentors for this department in 2002. ELITS project was a success and since then, most of the other Departments of Education in South Africa have incorporated this right brain method, in small or big ways. The Dancing Pencils Literacy Development Project was born as an initiative of heads of libraries and as an initiative in some education departments in different provinces, The company, a non-profit making organisation, called Dancing Pencils Literacy Development Project, was established mainly to assist develop the Dancing Pencils Writing clubs nationally. The company strives to provide professionalism and excellence in developing of writing clubs nationally. Our latest success is the partnership with the KwaZulu-Natal Office of the Premier in helping to raise literacy levels in KwaZulu-Natal through the establishment of Dancing Pencils Writing Clubs in schools in all districts. Books published by the writing clubs become reading material for the members as well as for other young people so this does raise both the reading and writing levels in the province. With the collective education industry’s knowledge and the experience of our management team we are well equipped to meet the demands of a changing education. KZN Arts, Culture and Tourism, and the Rights on the Child’s Commission have also become involved. Felicity Keats-Morrison also works in partnership with the PanSALanguage Board in mentor training and unlocking creativity of learners, with great success, The outcome has been the publishing of books in South Africa’s marginalised home languages. Pay for the printing of these books in bigger print runs to give to disadvantaged schools in rural and township areas. Our strategy is to achieve exceptional growth in our core business by aggressively and consistently marketing the company at every opportunity. 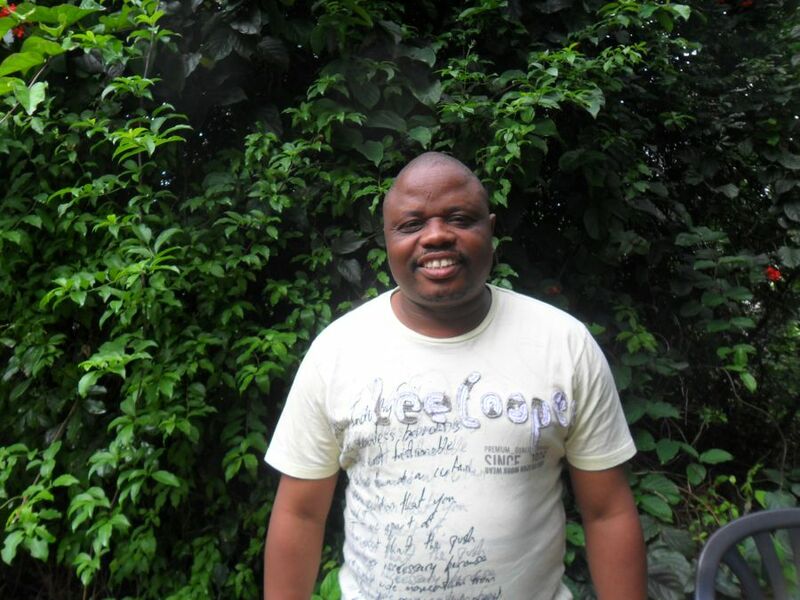 Previous board member and executive director, Luke Dhlamini, now passed on on 6th July 2005, whose energy and passion and desire for a non profit company brought things to this point. Luke Dhlamini collected his experience by working as a manager for Hopkins and Associates, a Labour Relations Law firm, for three years (1989 – 1993). In 1993 he joined the local Peace Accord (Newcastle) and he successfully created a healthy atmosphere for the youths of different political affiliation. One of his highlights with the Peace Accord was in 1994 when he was sponsored by then Iscor Pty Ltd to a tune of forty thousand Rands to stage a pre-election festival that would calm all the youths in the area. That was superbly achieved, and he raised more than seventy thousand Rands in that particular project. During 1996/97 he attended and successfully completed a basic level sports administration course organised and conducted by the then National Sports council. He was also instrumental in setting up the South African Football Players’ Union together with Mr Julius Tivhani Sono, Marks Maponyane etc. During 1998 he was offered by Saka-Northern an opportunity to raise funds for the organisation, which he successfully accomplished with flying colours. His main task and goal within the Dancing Pencils Literacy Development Project was to have corporate partners who assist in the development of literacy in South Africa and the rest of Africa in the future. His education background from school was not a bed of roses. He then completed his schooling with Damelin Newcastle, 1998-2001 where he obtained his Diploma in Marketing. Bonga Zondo has a three year National Diploma in Journalism from M.L.Sultan Technikon (Now called Durban University of Technology. In 1999, he worked as Communications Officer at KZN Newspaper. From 2001 to 2005, he worked at University of KwaZulu-Natal, as Research Assistant and as a translator. From 2006 till July 2008, worked as a book editor, typesetter and translator at umSinsi Press. From 24 February 2007-20 January 2008, worked as a coordinator of Anti-Crime Musical Project funded by Department of Community Safety and Liaison. In April 2007, represented South Africa, under Dancing Pencils Literacy Development Project, in England at the London Book Fair which was partly sponsored by Department of Arts, Culture and Tourism. In 2001, authored a novel titled “Gone to Earth” which received a lot of newspaper review. His anthology of poetry book was published in 2004. In 2006, directed a traditional poetical music by artists from different local municipalities under Zululand District. In 2006, he began a musical campaign against crime. In 2006, he received an award for creative writing from EThekwini Municipality. In 2006, he authored a second novel called “Potato Dance” which was launched at Klaarwater Community Hall. In 2006, he facilitated an autobiographical story-workshop to people with disability. Felicity Keats-Morrison has a B.Com, and UED. Her brief teaching career ended with the desire to write professionally. This she has been doing for nearly fifty years, intermittently, as a freelance journalist, short story writer, editor of South Africa’s Beekeeping journal, and more recently (since 1988) as a children’s author, and in writing books dealing with the unearthing of the talents of the right brain. In 1992 she began teaching writing, using all her knowledge and further designing a powerful lateral right brain teaching course that cut out the usual academics of the left brain and got people writing publishable work almost immediately. In 2002 she started to “skills transfer” her knowledge in the form of compressed “mentor” courses which take place over three days. Two and a half years ago, the concept of writing clubs was established, with the outcome being anthologies published annually, as well as some individual work from clubs Felicity is also publishing for Education departments under their trained mentors. This has resulted in the spread of good writing in many parts of South Africa, leading to better school passes and better job opportunities. Felicity has personally trained more than 1000 mentors, each training taking a full two to three days, and has worked in all nine provinces of South Africa, traing education specialists, curriculum implementers, district officials, provincial education department officials, and educators, to use non judgmental non critical methods of helping children to read and write publishable work and so rapidly increase literacy levels, even in the deepest rural areas. Felicity also enjoys watercolour painting and photography as a hobby. Sam Ndawo’s qualifications are: STD (University of Zululand); B.A. (UNISA); B. Ed (UNISA) Post Graduate Diploma in Librarianship (Liverpool, UK). He is passionate not only about reading, but about writing and believes that a “writing and a reading nation is a winning nation.” Sam Ndawo has taken hugely revolutionary steps in encouraging educators and children in Mpumalaga to write their own stories in their own languages and in English and Afrikaans. These have been put into books and ordered in 2000 print runs for use in Mpumalanga school classrooms and libraries. Authors earn royalties, other provinces are purchasing these books from the publisher as some of them are written in South Africa’s official languages. One book, Tinganekwane 2003, had stories by educators in nine different official South African languages. In recent years, curriculum implementers have written big books which they have also illustrated. Qualified educator with 29 years teaching experience in the intermediate and senior phase. In charge of Reading and Creative Writing Motivation Programmes since 1989 to date. Post graduate course in resource Centre Management. Trained as a Creative Writing Mentor in 2002 under Felicity Keats. Started the first club under the banner of Dancing Pencils. Published the first learner’s book in the Kwa-Mashu District. Since 2002, published 25 stand alone books and 5 anthologies to date. Learners are workshop on how to “Develop their creative Writing Skills” once a week after school hours. Conducted the following workshops for ELITS (Education Library Informatio and Technology services) for the Department of Education – KZN. “How to motivate learners to read” – 5 workshops in the Kwa Mashu, Ndwedwe, Inanda, Newlands East, Newlands West and Tongaat areas in 2002 for educators. Workshopped educations on “Reading and Creative Writing “ at a Tent Reading Festival in Bergville, Estcourt in September 2003. Currently conducting workshops on “How to develop creative writing skills using the Right Brain” on Saturdays for learners from 11.00 to 13.00 at the BAT Centre, Durban. Events organizer of the Dancing Pencils Book launch and book handover which is part of the Celebrate Durban Campaign. Chairperson of the Library committee at school – assist public libraries with holiday programmes and ELITS with Reading Promotion Programmes. Networked and cascaded information on Reading and Writing to educators in neighbouring schools. Qualified B. Soc Sc. (Social Work) Degree – Natal University. Qualified Social Worker – worked 11 years in Child Welfare setting and 16 years in an Industrial Setting – Transnet National Ports Authority. Managed Employee Assistance Programmes nationally in 7 South African Ports. Xolani feels that he will be perfect for the programme because of his previous experience in the world of the arts. He grew up in the rural area called Inanda where he used to mould cows out of clay from the river bed. In high school he achieved a chance of studying Fine Art in Grade 9, 10, 11 & 12 in a multi-racial environment during the era of South African segregation. He later pursued Fine Arts at university level, but dropped out due to peer & financial pressure. Instead he studied Philosophy, Psychology and English -hoping to be a writer with an ambition to re-educate the previously disempowered African about self-pride and the dangers of self-negation. Through his work (as a publicist/photographer/graphic designer/poet and programmes designer) at the BAT Centre; and through his interaction with the local musicians, crafters, writers and visual artists –he has discovered that Arts are the most powerful tool for educating society -especially the youth. Instead of writing books he feels fortunate to be in a position to help develop, empower, educate and assist the local old and young, passionate, aspirant or professional art practitioners. Rabia Cassimjee is a nurse academic and a community health specialist. her PhD in South African Indian Nursing History. She loves reading, writing, henna painting, cooking and card-making. She has published widely in the fields of nursing education, problem-based learning and case-based teaching. Rabia has three children, aged 10, 9 and five. She enjoys working in literacy programmes. She has been with dancing pencils since 2005, when she did a writing skills workshop at UKZN with Felicity Keats. Right brain writing is a phenomenal technique that helps writer’s engage in their subject matter and magically work through writer’s block, plot and character formation and academic writing. She is the founder of the Chatsworth Dancing Pencils Writing Academy which she launched.